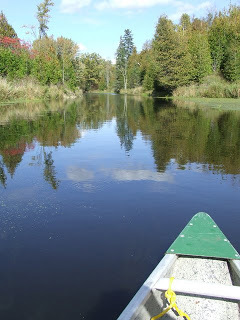 With a name like the Great Muskoka Paddling Experience how can you possibly go wrong? 10km or 18km. Of course we choose the 18km, not because it will be more fun at the time, but because theoretically it will be more rewarding! And we want to see all those top guys kicking our butts to see what they're doing that we're not. Oh and it's a pretty long drive, so gotta get one's money's worth.